Turnstyle Designs has announced the introduction of two new stunning door knob designs. 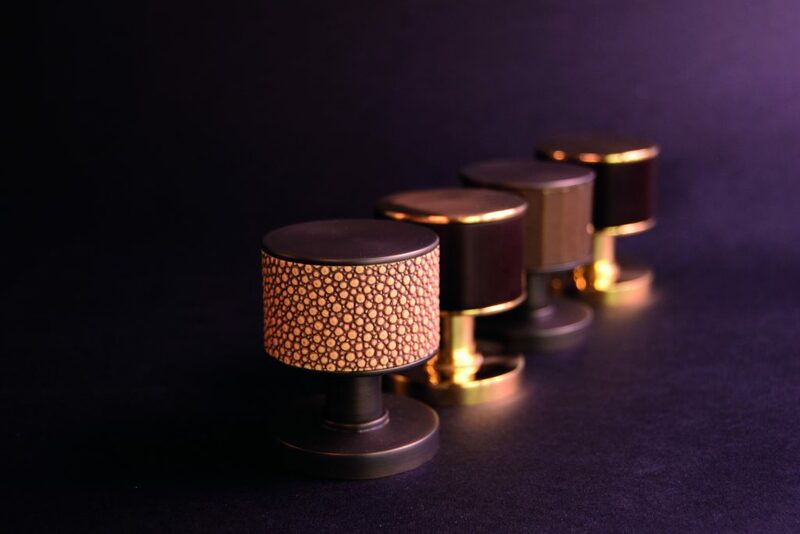 It has been several years since Turnstyle has had any door knobs in its product range, but responding to popular demand and the resurgence of door knobs, the company has come out with its unique take on this traditional product. The Layer, designed by Wayne Dymond, is a striking, bold design that combines layers of Amalfine sandwiched in thick layers of solid brass, producing a simple but very effective contemporary door knob. The Stacked, designed by Christina Roberts, comes in four of the bestselling Amalfine designs (Wire, Facetted, Shagreen and Barrel) as well as leather and newly introduced Oak. Bold designs stacked between two slim layers of brass and set on a contemporary rose. Cabinet handles are also available to coordinate with the doorknobs. The new designs are a clever fusion of classic product with a completely original contemporary twist, cleverly incorporating Turnstyle’s trademark mix of materials and finishes (each design is available in over 64 combinations of materials and finishes.